Public health experts involved in the response to the Ebola crisis have condemned what they described as a ludicrous, insulting and opportunistic attempt to exploit the disease for corporate gain by the world’s largest privately-held coal company. 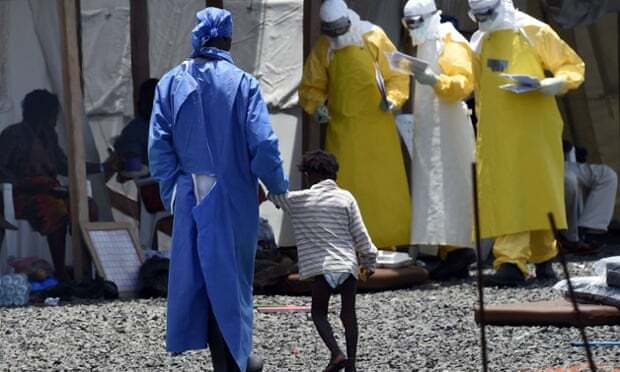 The World Health Organisation believes nearly 27,000 people contracted Ebola in an outbreak of the virus in West Africa last year, and more than 11,000 died – although the international agency believes that is probably an underestimate. Public health experts who were involved in fighting the spread of Ebola were outraged at Peabody’s suggestion that expanding energy access with coal generation could have hindered the spread of Ebola and helped with the distribution of a vaccine – especially as there is no approved vaccine against the disease. Meanwhile, the medical expert cited by Peabody to support its claims told the Guardian he had never heard of the company – and that it had got his name wrong. Peabody denied it was using the Ebola crisis for its own gain. “Mr Boyce was simply noting that a lack of electricity dramatically impaired the ability to fight Ebola in key nations that have little energy access and where hospitals rely on generators for power,” Vic Svec, the company’s senior vice-president for global investor and corporate relations told the Guardian. The doctor whose comments were used to justify Peabody’s claims was relatively sanguine. “I know nothing about the coal industry,” Harvey Rubin, an infectious disease specialist at the University of Pennsylvania said. He did say he intended to contact the company to correct his name – which was wrong on the power point. 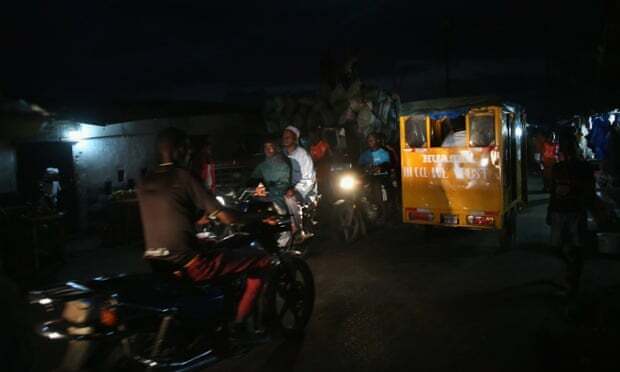 Boyce had claimed in the power point that electricity shortages had hampered the fight against Ebola. “Lack of electricity impairs ability to fight crises like Ebola,” the headline to Boyce’s powerpoint said. It went on to quote Rubin – misidentified as Harry not Harvey – on the importance to public vaccination efforts of a reliable electricity supply. “Let’s say someone does develop an Ebola vaccine. Distributing a vaccine would require continuous chain refrigeration,” Rubin said. But he told the Guardian he was “agnostic” on the issue of power sources. He said there were already sufficient supplies of electricity in Africa for effective distribution of vaccines by using existing cell phone towers. “We can piggyback on those towers,” he said. The Ebola claims surfaced amid growing pressure on Peabody Energy from the downturn in coal and a global anti-apartheid style fossil fuel divestment campaign. Over the last two years, over 200 institutions and major investors have committed to selling off their stocks of oil, coal and gas, on the grounds that much of the world’s reserves of fossil fuels must stay in the ground to avoid dangerous climate change. Some institutions – such as Stanford University – have committed only to dumping coal, while hanging on to oil and gas holdings. The Guardian supports the fossil fuel divestment movement, and through its Keep it in the Ground campaign has called on two of the world’s biggest charities, the Bill and Melinda Gates Foundation and the Wellcome Trust to divest from fossil fuels. The Gates Foundations’s Asset Trust has a $1.6m holding in Peabody according to the most recently available information. The Wellcome Trust does not have a direct investment in the company. Peabody views the fossil fuel divestment campaign as “misguided and symbolic”. But in the past it has suggested that divestment could have an impact on the business. “The impact of such efforts [fossil fuel divestment campaigns] may adversely affect the demand for and price of securities issued by us, and impact our access to the capital and financial markets,” wrote Peabody in its 2014 annual filing with the US Securities and Exchange Commission. But the fossil fuel divestment movement has intensified Peabody’s campaign to rebrand coal. It is the dirtiest of fossil fuels which contributes heavily to climate change and causes large numbers of deaths because of pollution produced when burning it. But in a power point presentation, prepared for the managers of the world’s richest sovereign wealth fund, the Norwegian government pension fund in June last year, Peabody executives argued that coal was positioned to be the fastest-growing fuel of the 21st century. At the time, the fund had 64m NOK (£5.5m) in Peabody, down from 1.2bn NOK in 2010. In the meeting, Peabody argued that “21st-century coal” was positioned to be the main driver of digital expansion, and of urbanisation of developing countries. It also said access to coal was the cure for global poverty. The effort did not work. As of 31 December, the Norwegian government pension fund had dumped all shares of Peabody and other US coal companies, according to Urgewald, a German NGO which monitors the fossil fuel divestment campaign. “So they were obviously not convinced by Peabody’s presentation,” said Heffa Schuecking, a campaigner for Urgewald. This article was amended on 20 May. It originally stated that the Wellcome Trust does “not appear to have” a direct investment in Peabody. It has been amended to make clear that Wellcome does not have a direct investment.